The fire performance of aluminium composite panel has become a growing concern for the international building and construction industry. Following the recent incidences of high-rise fires, most notably the Grenfell Tower fire in West London, the Australian Senate Standing Committee on Economics released an interim report containing an eight-key recommendation banning the use of aluminium composite panels. The proposal, however, was opposed by Coalition Senators, stating that banning aluminium composite panels will implicate the signage industry and does not affect the understanding of non-conforming and non-compliant building materials in general. Imposing a nationwide ban on the use of aluminium composite panel, or adopting the recommendations on a broader term, is yet to materialise, as the case of non-conforming and non-compliant building materials is currently being reviewed by the Senate Committee. 1. A statewide audit on data and building structures is presently being held by the NSW government. 2. Formation of Fire Safety and External Wall Cladding Taskforce, an inter-agency governing body responsible for addressing the fire safety risks related to external cladding materials. 3. Information dissemination on fire safety and external wall cladding materials through fact sheets and online portal. 4. The passing of Environmental Planning and Assessment Amendment Bill 2017 and changes to the already existing Building Professionals Act of 2005. 1. An audit of non-compliant cladding materials subsequent to the Lacrosse Building Fire that happened in the early hours of 25 November 2014. 2. 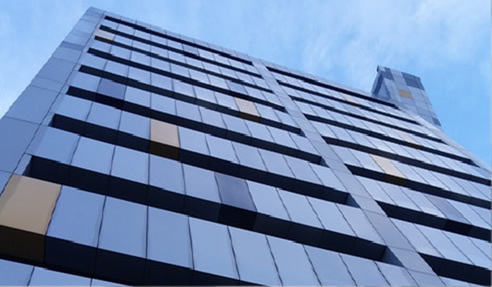 The Victorian Cladding Taskforce was enacted to check the extent of usage and advise on the changes of non-compliant external wall cladding materials. 3. Resolve the continuing disputes over the Lacrosse Building Fire. 1. Creation of The Building and Construction Legislation Amendment Act 2017 that seeks accountability to all stakeholders in the supply chain. 2. The formation of Non-Conforming Building Products Audit Taskforce responsible for identifying potential fire risk related to external wall cladding. 1. The Western Australia Building Commission launched a statewide audit on the use of aluminium composite panels on high-rise buildings. While the inquiry is currently ongoing, the WA government deployed a portal where common questions and updates on the audit are regularly being posted. 1. An ongoing audit of identified Adelaide CBD buildings with aluminium composite panels. 1. A government-run audit on all Tasmanian buildings released on 19 January 2018 revealed only one building tagged as high risk. The recommendations have been given to rectify the present state of the building. Learn more about the latest updates on building codes, standards and compliance in the upcoming DesignBUILD Expo on 2-4 May 2018 at the Melbourne Convention & Exhibition Centre. Register now!